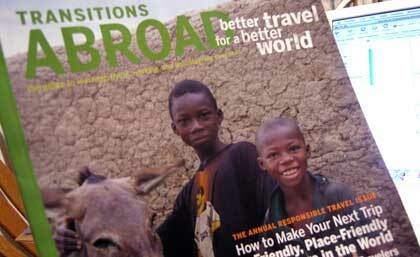 Check out our feature article in the current news stand edition of Transitions Abroad magazine (November/December Responsible Travel Issue). "Nicaragua's Evolution" by Randall Wood and Joshua Berman starts on page 38, and begins with the first line of our book: "Forget everything you thought you knew about Nicaragua." Like what you see? Buy the book and schedule a trip for yourself. Also check out our interview back in the May/June issue.